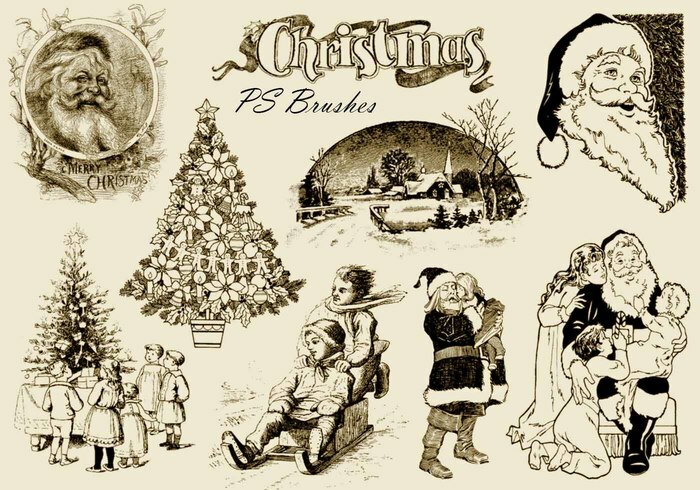 20 Vintage Christmas PS Brushes abr. Vol.10 - Free Photoshop Brushes at Brusheezy! 20 Vintage Christmas PS Brushes abr. 2500px High Res Vol.10 I have create these brushes from my Victorian Christmas Gravures collection, Hope you like it! Perfect for xmas text patterns. Thank you.